What are Preformed Swimming Pools? Preformed fiberglass swimming pools are often more durable than concrete pools. There was a time when a homeowner who wanted a swimming pool had two options: buy an above-ground pool or dig up the backyard and have a concrete pool poured from scratch. The above-ground pool had limited options for a deck and was not very attractive, while the concrete pool was prohibitively expensive. With the development of preformed swimming pools, however, the homeowner had an option that looks exactly like a poured concrete pool, but involves half the construction costs. While a hole still needs to be dug, the preformed pool simply needs to be installed, saving time and money. Preformed swimming pools are rather like large fiberglass bathtubs. They are formed at the factory, where the maker seals the surface against the elements and ravages of chlorinated water and ships it to the home. The contractor digs a hole, levels it with sand, and sinks the pool in. The pool is flush with the top of the ground, so it can be decked and landscaped just like a concrete pool. One of the greatest advantages of this type of pool is that the contractors may take only seven to ten days to install one, as opposed to a few weeks spent installing a concrete pool. 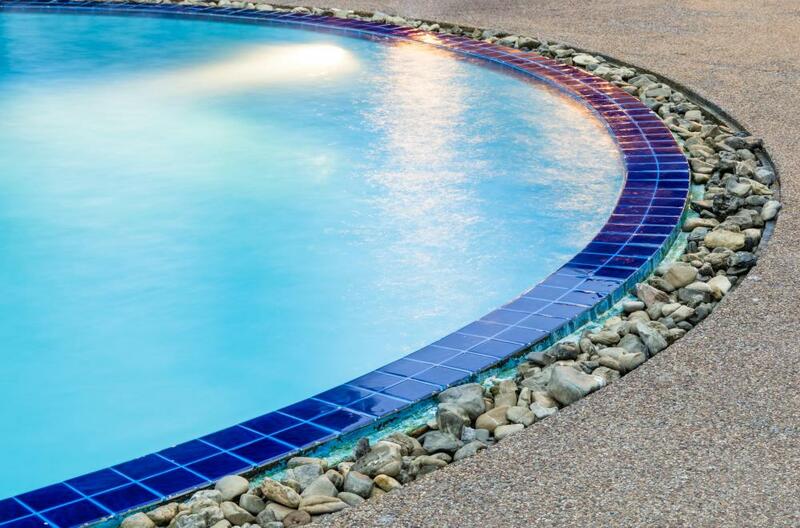 Fiberglass pools are also highly resistant to wind and weather, and unlike concrete, this material is not prone to splitting or cracking, so these pools are ideal for earthquake-prone areas. A fiberglass pool never needs painting, unlike concrete pools. Maintenance costs are lower in general, and because most owners use sand filters, the cost of chemicals is lower as well. Preformed swimming pools are always kept filled, so that the pressure inside equals the pressure of the earth around it. Consequently, it is not necessary to drain the pool every winter, which again saves money. One of the drawbacks of this type of swimming pool is the same as for concrete pools: terrain issues. A contractor will charge more to remove rocks from soil and will charge for a retaining wall to keep the ground stable if it is soft and prone to shift. Another drawback is that design choices are limited, since they are pre-made. A regular concrete pool can be designed to the homeowner's wishes. Comparison shopping is also a must, since installing any type of pool requires a big commitment of time and money. How Do I Choose the Best Swimming Pool Installers? What Are the Different Types of Backyard Swimming Pools? How Do I Choose the Best Pool Deck Drain? What is a Metal Frame Pool? What is a Swimming Pool Stabilizer? 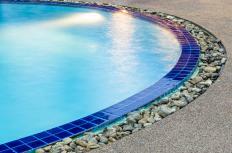 What are the Different Types of Fiberglass Pools? @indigomoth - The problem is once you get into concrete pools you're immediately out of the price range of the average family. If you want to talk about concrete pools with a mosaic laid in the bottom of it, and you're out of reach of most companies. The preformed swimming pools can look really good and more importantly they are practical in terms of maintenance and other costs. They are also more environmentally sound I think, since they take fewer chemicals to maintain. @croydon - You make a good point about having to maintain water quality, but I still think overall a preformed pool is much cheaper than a concrete pool. And there are actually quite a few different kinds you can purchase these days. I especially like the fact that they take into account that people want stairs and sloping floors in their pools. The only thing I'd prefer with a concrete pool is that I've always actually liked the pictures that sometimes get painted on the bottom. There are some amazing swimming pool designs online if you have a look, painted onto the floor of the pool. Or, if you don't want to have to repaint all the time, you could put in a mosaic instead. That will be quite expensive I suppose but once it's there you'd be able to keep it without having to repaint or anything like that. Plus it would look amazing. I'm not sure if having to keep the pool filled over the winter will actually save you money in the long run. In fact, the fact that you can never drain the pool without risking damage from the pressure of the surrounding earth actually seems like a pretty big downside to me. You'd have to maintain water quality all through the winter, or do a huge clean up once summer comes around again. And if something happens that makes you want to remove all the water and replace it entirely, like maybe an animal dying in the pool, or something spilling in the water or something like that, you won't be able to. I'm not saying a preformed pool isn't the better option when compared with concrete swimming pools but do be aware of all the downsides before you get one.